Below you fill find all funeral homes and cemeteries in or near Greensboro. Popular neighborhoods in Greensboro include: Fisher Park, Aycock, Southside, and College Hill. We maintain the highest standards with careful attention to every detail. Each and every person on our staff plays an integral part in maintaining our reputation for personal attention and excellence in service. Suburbs of Greensboro: efield, Sedgefield, South Greensboro, Spring Valley, Summit, Tennessee Acres, UNC-G, UNC-Greensboro, USPS Hr Shared Svcs, Vandalia. Greensboro is also known as: Guilford County / Greensboro city. Their current mayor is Mayor Jim Westmoreland. Zip codes in the city: 27401, 27402, 27403, 27404, 27405, 27406, 27407, 27408, 27409, 27410, 27411, 27412, 27413, 27415, 27416, 27417, 27419, 27420, 27425, 27427, 27429, 27435, 27438, 27455, 27495, 27497, 27498, 27499. Guilford County funeral flowers can be purchased from one of the local funeral shops we partner with. There are currently 20 funeral options for this city. Some of the notable people born here have been: Joey Cheek (speed skater and athlete), Eddie Pope (football player), Vince Evans (american football player), Marques Douglas (american football player), Ethan Albright (american football player), Jeff Bostic (american football player), and Haywood Jeffires (american football player). Greensboro is home to the following sports teams: Carolina Monarchs. Greensboro (/ˈɡriːnzbʌroʊ/) (formerly Greensborough) is a city in the U.S. state of North Carolina. It is the third-largest city by population in North Carolina and the largest city in Guilford County and the surrounding Piedmont Triad metropolitan region. According to the 2012 U.S. Census Estimate, Greensboro's population is 277,080. It is located at the intersection of three major interstate highways (Interstate 85, Interstate 40 and Interstate 73) in the Piedmont region of central North Carolina.In 2003, the previous Greensboro – Winston-Salem – High Point metropolitan statistical area (MSA) was re-defined by the U.S. Office of Management and Budget, resulting in the formation of the Greensboro-High Point MSA and the Winston-Salem MSA. The 2010 population for the Greensboro-High Point MSA was 723,801. The Greensboro – Winston-Salem – High Point combined statistical area (CSA), popularly referred to as the Piedmont Triad, had a population of 1,599,477.In 1808, Greensborough (the spelling before 1895) was planned around a central courthouse square to succeed the nearby town of Guilford Court House as the county seat. This act moved the county courts closer to the geographical center of the county, a location more easily reached by the majority of the county's citizens. It was revealed on March 29th, 2019 that Robert A "Bob" Richards passed on in Greensboro, North Carolina. Richards was 65 years old. Send flowers to express your sympathy and honor Robert A "Bob"'s life. It was revealed on March 19th, 2019 that Michael Charles Miller passed on in Greensboro, North Carolina. Miller was 35 years old and was born in Sarasota, FL. Send flowers to share your condolences and honor Michael Charles's life. It was revealed on February 23rd, 2019 that Jack Vanhoozier passed away in Greensboro, North Carolina. Vanhoozier was 78 years old. Send flowers to share your condolences and honor Jack's life. It was written by New Bern Sun Journal on February 17th, 2019 that Alice Thomason (Womble) passed on in Greensboro, North Carolina. Ms. Thomason was 91 years old. Send flowers to express your sympathy and honor Alice's life. It was reported on February 12th, 2019 that Fred Oliver passed on in Greensboro, North Carolina. Oliver was 69 years old. Send flowers to express your sympathy and honor Fred's life. It was reported on February 10th, 2019 that Carol Jean McConnell (Stump) passed away in Greensboro, North Carolina. Ms. McConnell was 80 years old and was born in Roanoke, VA. Send flowers to share your condolences and honor Carol Jean's life. It was reported by The Daily Herald on January 30th, 2019 that David W Jr Harrell died in Elmhurst, Illinois. Harrell was 70 years old and was born in Greensboro, NC. Send flowers to express your sympathy and honor David W Jr's life. It was written by Carroll County News on January 30th, 2019 that Teresa Renae Edmonds (Blair) passed away in Hillsville, Virginia. Ms. Edmonds was 51 years old and was born in Greensboro, NC. Send flowers to express your sorrow and honor Teresa Renae's life. It was reported by Charlotte Observer on January 13th, 2019 that Elizabeth Dearman Corzine (Nash) passed away in Greensboro, North Carolina. Ms. Corzine was 96 years old. Send flowers to express your sorrow and honor Elizabeth Dearman's life. It was reported by Statesville Landmark on January 2nd, 2019 that Rachel Brawley (Sloop) passed on in Greensboro, North Carolina. Ms. Brawley was 97 years old. Send flowers to express your sympathy and honor Rachel's life. We understand that funeral planning can be overwhelming. iMortuary's aim is to make things as stress free as possible. We list local funeral providers, including Greensboro cemeteries, funeral homes, funeral flowers, and cremation providers, among other funeral services in your area. 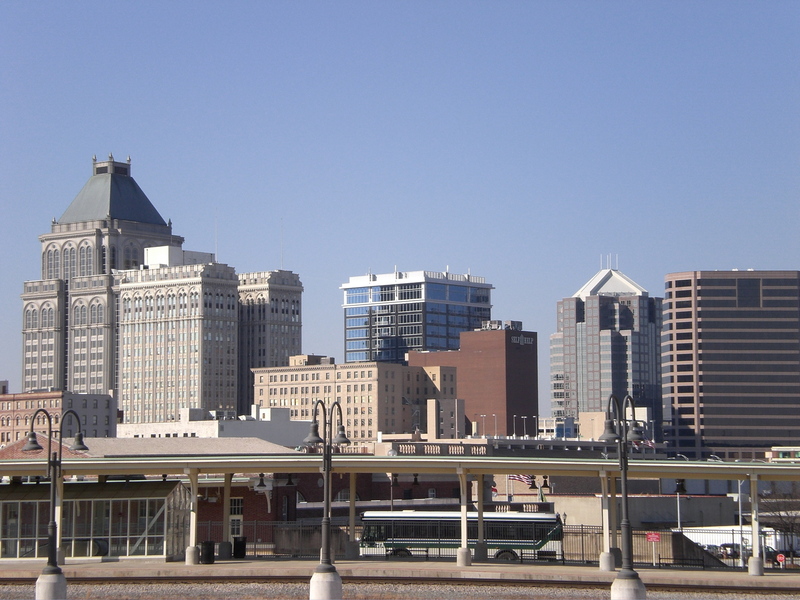 Greensboro is part of a triad of three major cities which include High Point, Winston-Salem, and Greensboro. Greensboro is known as a center for textiles and transportation, but is also the headquarters for Aircraft, Banks, and Financial companies among others. Though it is known for its businesses it also has a large number of local parks, wildlife refuges, and museums. The official website for the city of Greensboro is http://www.greensboro-nc.gov. Greensboro, NC -- Family and friends gave their final respects to a father and son believed to have been murdered in their home last Saturday. Hundreds of mourners attended the funeral for 28-year-old, Marquise and 7-year-old, Malique Steens Sunday. Listing all funeral homes in Greensboro, North Carolina so you can easily send flowers to any location (same day delivery) or find any funeral service. funeral homes in Greensboro, NC 27401 on Yahoo! Local Get Ratings & Reviews on funeral homes with Photos, Maps, Driving Directions and more. funerals in Greensboro, NC 27401 on Yahoo! Local Get Ratings & Reviews on funerals with Photos, Maps, Driving Directions and more. We work with local florists and flower shops to offer same day delivery. You will find budget sympathy flowers in Greensboro here. Our funeral flowers are cheap in price but not in value.